Open House and You’re Invited! Open House at 7965 Brookpoint Pl Westerville, OH 43081. OPEN SUNDAY April 3, 2016 from 2-4pm!!! And if you’re in the Columbus, OH area, you’re not going to want to miss it because this house… is… AWESOME! 7965 Brookpoint Place in Westerville is a unique 4-level, 3-bedroom home, situated on a cul-de-sac, and has a fully fenced yard. And the best part? IT’S IN THE WORTHINGTON SCHOOL DISTRICT… AND IT’S PRICED UNDER $200,000!!! Wait, what?! Worthington Schools, under $200K?! Wow! So, if you’re in the area and thinking about buying a home, stop on by. I’d love to get to know you. And if you’re thinking of buying in the Columbus area, and you don’t have a Realtor to help you yet, you’re in the right place. I want to help YOU find your dream home – whether it’s in Worthingon, Westerville, Powell, Lewis Center, New Albany, Dublin, Columbus, or any of the other surrounding areas. And finally, if you’re thinking of selling your home, and you’ve come across this video… Don’t you want a Realtor who’s going to do EVERYTHING to get your home sold? Videos. Social Media marketing. Facebook and Instagram advertising. Even “Coming Soon” marketing before your house even hits the market. You can always find me online, search for homes without hassle, and check out my blog and videos at http://www.CbusHomes.com. This home is currently listed by Mary McMichael-Liston of Keller Williams Classic Properties Realty, 614-545-4974. 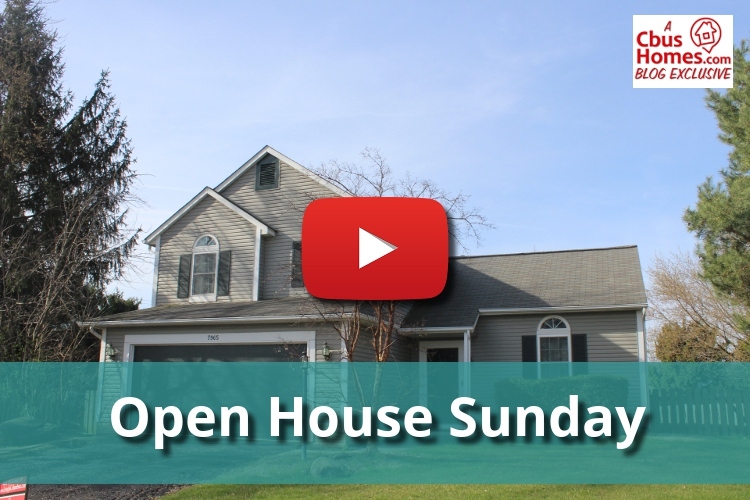 I am simply hosting the Open House and helping with the marketing for the Open House Sunday 4/3/16 from 2:00-4:00pm. What do you think? Agree? Disagree? Either way, share this post or the video with anyone you think might get a kick out of it. Hit me up on Facebook or Twitter to let me know what you think and if I should do more fun posts like this one. Right now, in the works on my Columbus Real Estate Blog is a post I’m working on regarding Netflix’s release of “Fuller House” and how much the actual house would cost in today’s marketplace.